In Minnesota, there is always something to do outside! Owatonna offers the ease and accessibility to all outdoorsman activities, seasonally. Embrace the outdoor experience and enjoy the outdoors by camping at one of Owatonna’s three campgrounds. 10 AM: Spend the morning picking up all your outoor necessities at Cabela’s World’s Foremost Outfitter. It is the largest fishing, hunting and outdoor gear store in the Midwest. With nearly four million visitors a year, it is one of the most popular tourist attraction in Minnesota. 12 PM: Enjoy lunch at the park-like restaurant in Cabela’s, serving outstanding deli-style fare (including elk and bison), that brings the great outdoors, indoors. 2 PM: Take in the fresh air at the beautiful Mineral Springs Park Disc Golfing Course. Enjoy the challenge and excitement of combining personal skill and speed to project an object toward a target. 6 PM: Have your pick of steak dinners at Torey’s Restaurant & Bar or Timber Lodge Steakhouse. 8 AM: Rise and shine! Enjoy Owatonna’s beautifully manicure links at one of our three golf courses. 12 PM: Grab lunch and a drink at the clubhouse. 2 PM: Take the afternoon to discover Owatonna’s Parks and Trails. Kaplan’s woods Parkway is the city’s most popular recreation area, filled with 225 acres of hiking, biking, jogging, inline skating and cross country skiing paths. Steele County, Buxton & Muckle Trails is Owatonna’s multiple use trail system created to provide a variety of recreational opportunities for city residents and visitors. Owatonna’s Leo Rudolph Nature Reserve includes a two acre pond and numerous varieties of prairie grasses and wildflowers. 5 PM: End the evening on the water. 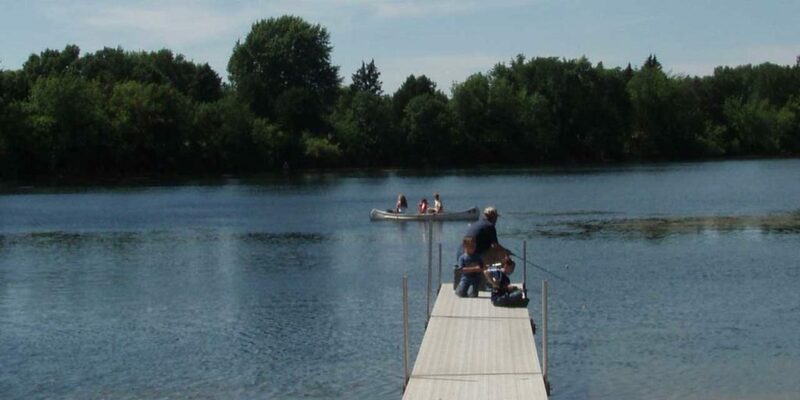 Whether it’s summer or winter, you will have a ‘reel’ great time fishing on Lake Kohlmeier! For more itineraries and activities in Owatonna, contact the Tourism Department 800-423-6466.